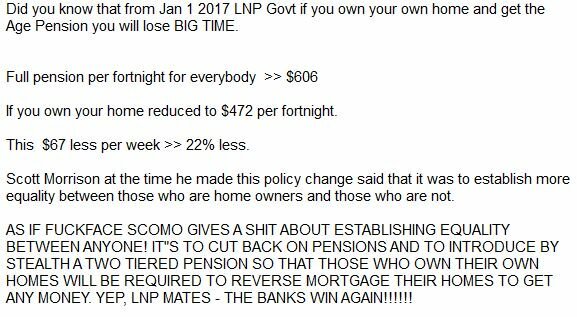 Get this - if you are a Age pensioner & own your home. This is the gift that you get for voting this LNP govt. FFS!! As Stavros says, this is a win/win for the LNP AND THE BANKS!! We know who the LNP is working for, and it ain't us!